Have you ever looked through your microscope at a beautiful image in high magnification and wished you could capture more of the image than what you see through the field of view? 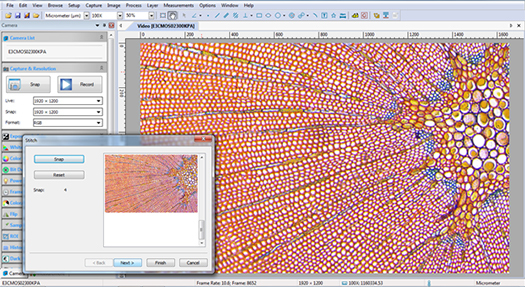 Many microscope digital cameras have an image stitching feature that will allow you to do this. While focusing on the sample with the camera turned on, the software is opened. The image stitching feature captures multiple images while the mechanical stage is slowly moved in both the X and the Y axis to cover the field of view desired. The software works in the background to stitch this larger image together. There are several helpful pointers to keep in mind when performing microscopy image stitching. Make sure that you move the microscope mechanical stage slowly while capturing the image. Moving too quickly will result in a patchy image as shown below. This black patchy image resulted because the camera could not keep up with the speed at which the microscope stage was moved. Moving the stage too fast can also result in a blurry image. Take your time. Keep in mind that the resolution you set your microscope camera to will also affect image stitching. 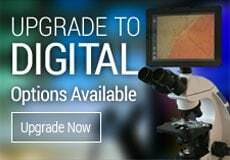 It will affect both the quality of your final image, as well as the speed at which you are able to move the microscope stage while performing the stitching. As you move in either the X or Y direction with the mechanical stage, you should start to be able to see the stitched image on your computer monitor. 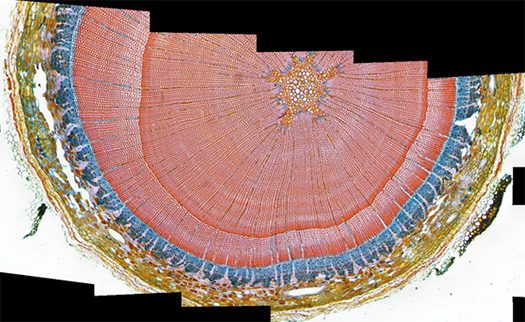 Shown below is a partial image stitch of a Woody Stem cross section. 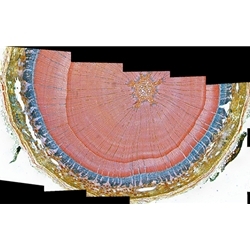 The image shown below is the final image stitch produced with the microscope camera using image stitching. 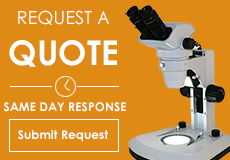 If you have questions regarding which microscope cameras have software that allows for image stitching, contact Microscope World and we will be happy to help.